This week I used my Swagbucks to get some fun popsicle molds on Amazon. I have been stocking up on fresh fruits, so it was time to try and make some homemade popsicles. My kids keep begging for these, and I am happy to give these pops to them. These are so much better than store-bought, sugar filled options. I hope you like them too! 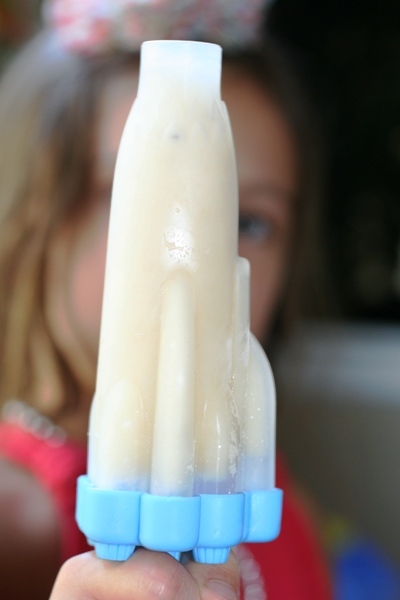 Pour into popsicle molds and freeze 4-5 hours. Yum! I’ve been wanting some of those popsicle molds for a couple yrs., maybe I should check out Amazon. Feel free to add these to my new blog, It’s A Blog Party, where I host a different linky party everyday. Tuesdays are Delicious Dishes! .-= Liz@HoosierHomemade´s last blog ..Ritz Crackerfuls Review & Coupon =-.